Need a mortgage co-signer? This may indeed be the case if you've found that perfect house, only to have lenders inform you that you don't qualify for a mortgage. What does having a co-signer mean for you as a home buyer, and what are the benefits and risks? That property you're eyeing may be just out of your price range, or perhaps you have either a poor or no credit history. Even if you know how to scrimp and save to make your monthly mortgage payments, the bank doesn't know how well you pinch pennies. And being a financial institution, it needs a guarantee that the money it lends a potentially risky borrower will be paid back. And that's where a co-signer comes in. When you apply for a mortgage, you become what's known as the "occupying borrower." A co-signer—usually a relative or friend—is someone who typically doesn't live at the property (aka a "nonoccupant co-borrower." This person physically co-signs the mortgage or deed of trust note with you, adding the security of their income and credit history against the loan. Just keep in mind that lenders will also examine your co-signer's debts, and factor that into the picture as well to create what's called a "blended debt-to-income ratio." So make sure you choose a mortgage co-signer with high income and little debt to help offset your own numbers. 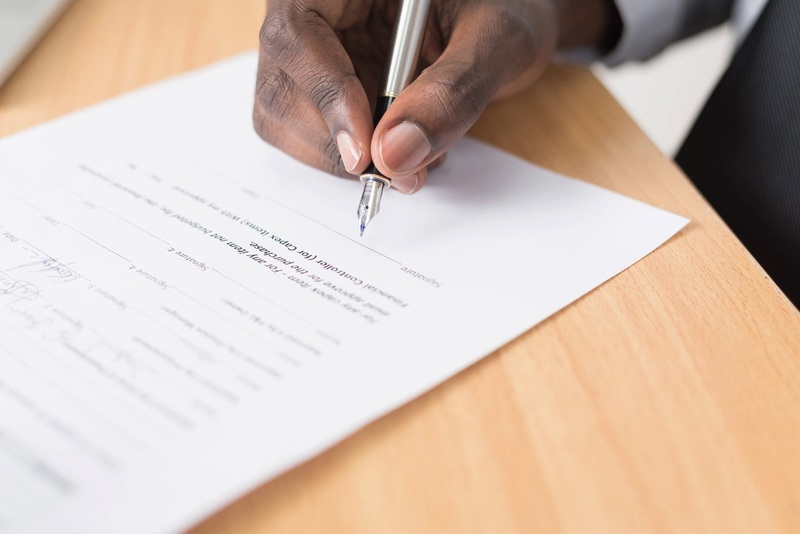 What is a co-signer's liability? A co-signer is a person who is taking on the financial risk of buying a home right along with you. If something unforeseen happens and you're no longer able to make mortgage payments, the co-signer will be contacted to pay up. "When co-signing a loan, the risk falls on the co-signer," says Ray Rodriguez, regional sales manager at TD Bank. If anything happens to the occupying borrower that affects their financial health—think loss of job or severe medical problems—"the co-signer is responsible for the payments." And if you fall behind on your loan, the full amount of the mortgage payments are reported on both of your credit reports, according to Rodriguez. Those late payments also "get reported on the co-signer's credit report and could drop their credit score, impacting their ability to obtain new loans for an auto or mortgage of their own." Sure, a co-signer's income can offset certain weaknesses in the occupant borrower’s loan application. But no co-signer can wipe away significant hiccups in your credit history. And before you put a co-signer at risk, make sure you as the occupant borrower truly have the ability and willingness to make the mortgage payments and maintain homeownership. In other words, don't take your co-signer for granted, and lean on them only in the worst-case scenario.